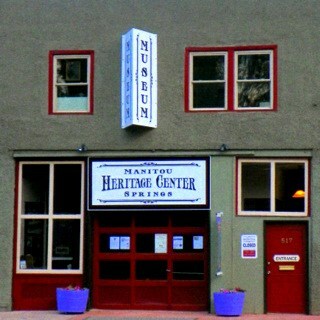 Visit the Manitou Springs Heritage Center and explore the history and heritage of this unique mountain town. Their mission is to: Collect, preserve, research, and interpret the history and culture of Manitou Springs and the Pikes Peak Region. The intent of the organization is to educate citizens and visitors in order to increase appreciation and understanding of this unique community.